Hey everyone, I know a lot of you have been looking forward to the review of these EOS Angel Brown lenses. It seems that there haven't been too many photos of this type floating around yet but I've got to say, I really love these! Similar to the Adult grey lenses, these lenses seem to change color depending on what lighting you are in. They go anywhere from a tan color to a true grey. It's a much more natural look than Adult Grey also, since Grey turns light blue or lavender on me. I also think these would be easier for those with fairer skin to pull off. Light blue lenses in general probably look best on those with tanner skin or darker complexions, but light brown and grey seems to flatter a wider range of skintones. They also have the same crystal-like pattern that all of the Adult series has, which may seem intimidating but actually looks quite natural in real life. It blends in better than many lenses that have a solid pupil hole. Here you can see the pattern. It has the same bluish, faded limbal ring that Adult Grey has. super close-up to see the pattern. oh, and this is one of my favorite neutral looks using NYX single shadows in cream cheese, flamingo, and almond. I just love the effect of these. It's kind of soft, don't you think? And I wanted to see how they would look in different lighting, so these were taken by a floor lamp that we have. It's one of those rice-paper vessel type lamps that gives off a soft light. All in all, I like it! My Adult Greys and these are practically tied for my favorite lenses. Gotta love the eye-catching effect of Greys, but the Browns are so soft and natural yet still very bright. I've never really seen that with any brown lenses except maybe Solotica Ocre lenses but I prefer these over Soloticas. Now I gotta go shower and get ready for babysitting, then out for a night on the town! I haven't gone dancing in FOREVER! Woop, woop! I've never been into colour contacts for Asians, they always seemed to harsh but these look so natural that I may have to get some myself! I bought the Adult Grey and yeah it turned out more blue than anything lol. Although it looked fine on me but I would love something natural too. Btw, is your iris size smaller than the lenses? Cuz I think mine was slightly larger than it and idk if it would ruin the enlargement effect if it was. But I never wear lenses, the way it touch your eyeballs kinda freak me out. haha..
lol Jen..b/c of your post I ended up buying all 5 colors, and an extra pair of dizon (I think they were called) I definitely put your name down. <3 you mucho! They are GORGEOUS on you! Beautiful! They seem to look grey in the pictures but definitely softer and more subtle than the Adult Grey. Do you know if there's a way for someone with chronic dry eyes to wear lenses? i was wondering if these contact lenses are annual wear like soloticas ones ? I love these lenses!! And am dying to buy the Grey and Brown as well but unfortunately, Pretty and Cute does not ship to Singapore (that's where I come from). =( Do you know any other suppliers? And between EOS (Grey) and Solotica (Ice), which one do you prefer? which is nicer? Are your lenses prescription or plano? I'm really interested in buying a pair but I don't wear glasses. Thanks! You mention that these "sparkle", which i think is a key missing factor in solotica, which may be natural but make eyes kinda dull rather than bright. Is this why you prefer these over hidrocharme ocre? What about compared to mel/ice, etc.? also, do you ever wear glasses? if you do, could you post some pics of your favorite frames? those look amazing. i have astigmatism and it's really hard to find comfortable toric ones. i might get a pair of circle lens soon. it seems fun to play it up every once in a while. your pictures always come out so nice. what kind of camera are you using? but your hair is so nice! How do you keep it straight in humidity, or is it just naturally that way? Aesderina: Aww, I'm sorry you're sick. Hope you feel better! hana: yes, it's like a putty grey. pretty true to color in the video. my iris is smaller than the lenses but since adults are light lenses there isn't much enlargement in the first place. I prefer it, because I look like an alien with most circle lenses. DSK Steph: Haha, AWESOME! You should post photos of all of them too. I want to see how the other colors look. :D And thank you bebe! alienman: have you tried using Thera Tears? They are eyedrops for contacts that you drop into the lens before you wear them that helps a LOT. I got it at Target. Anonymous: Yes, they are annual lenses. Anonymous: I can take pics the next time I wear them with monolids. Florence: I wear plano lenses. KellyR: my favorite lashes are Shisem but I think the ones in that picture were random ones from my Aunt's shop? Haha. They are criss-cross style. Anonymous: I prefer the Adult series to Solotica, but I do think the effect of Solotica Mels are unique and can't be replicated with any other lens. And no, I don't wear glasses! The only frames I have are sunglasses. Haha. Bora: My hair gets super frizzy in humidity too! Mostly if I take a shower in the morning and let it air dry with no product. Very poofy. To combat this, I usually put Biosilk Silk Therapy in my hair from the ears down when I get out of the shower. I also usually shower at night and let my hair dry while I sleep and it's not frizzy in the morning. And yeah, I haven't found a great sub for lancome yet, but if you aren't worried about oil-free, I do love my Graftobian concealer palette which I use on clients. It has CRAZY good coverage. Just a teeny tiny bit goes a long way. these are really pretty on you! i went to the website but i was wondering which Adult Brown lenses are they because they have E202 and E203? You make me feel like trying on Contact too...I have been contemplating bout that..but up until now.....I'm stil very afraid of the idea of sticking my fingers into my eyes!!! I knew you would like these! And why not? They look gorgeous on you! You still have me tempted to try the Adult Greys out myself! think some of my girls would love this... can't believe I missed this blog before haha... nice! those look reallly nice on you! i just had to leave that comment cause you really are. anyways i read ur skincare blog n (obviously) ur circle lens reviews. I was thinking of getting the adult browns n you've definately convinced me. anyways, have u tried this product called skii? my skin improved drastically after i started using it, n ive stopped breaking out. its been 3 weeks now n i'm hooked. i'lll try to do a review on the product (ive taken a before pic) n im just gonna wait another week till i do a review on skii. its seriously a godsent. 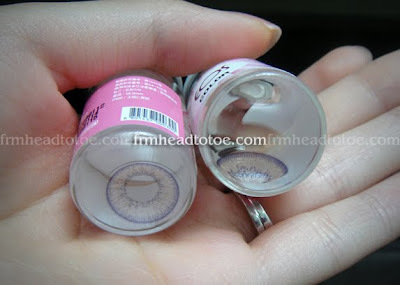 check out my circle lens reviews too! 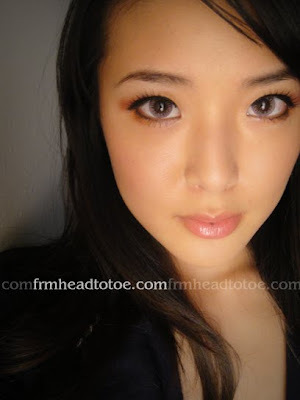 Denise: im from singapore too, i can recommend you a circle lens supplier. just drop me a comment on facebook, cause apparantly ur acc is private and i couldnt message u the link. Thanks for the excellent reviews Jen! 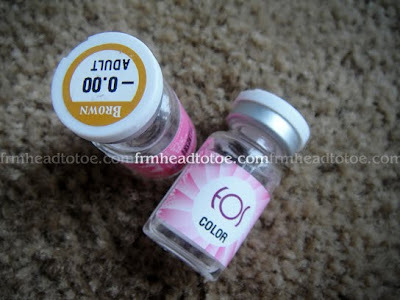 which one do you think is better, the adult grey or Solotica contacts? for example which one makes your eyes look bigger, which one is prettier, and which one is lighter in color. asdfghjkl: I personally like the adult series lenses better than solotica. Solotica has a nicer soft effect, but the lens is thick and uncomfortable on my sensitive eyes. They give about the same enlargement (not much) and I think Adult grey is actually lighter. U always looks gorgeous in any lens..
Hey, these lenses look killer on you. But I wanted to let you know that MyCandyEyes.com is using one of your images. I'm not sure if you gave permission, but they did crop out your watermark. I'd look into that. Best of luck! DO YOU THINK THEY WOULD BE SUITABLE FOR GUYS?? as in like is the pattern to crystal-y? ?